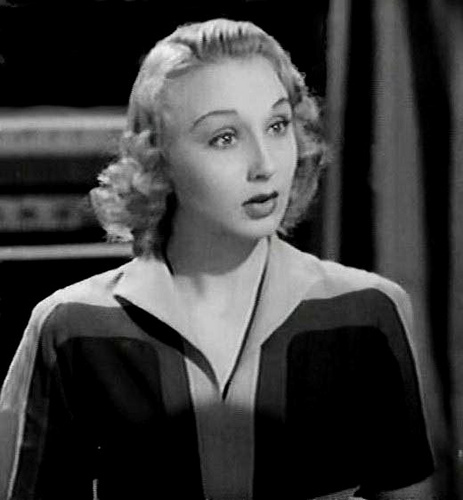 Actress Googie Withers, who played Margaret Lockwood's friend Blanche in the opening scenes of Alfred Hitchcock's superb classic THE LADY VANISHES (1938), has passed on at the age of 94. Withers is seen in the photo here on the left, with Lockwood in the center and Sally Stewart on the right. 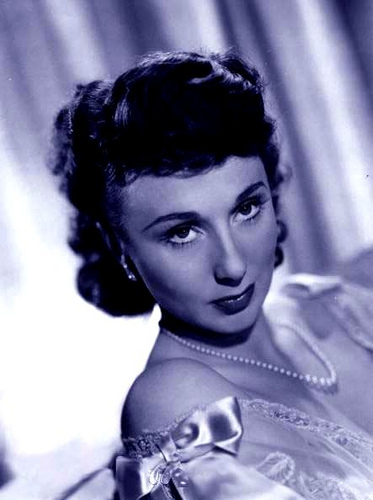 Withers had over 60 film and TV credits. I especially loved her work as Clare, the very tolerant wife in the mermaid fantasy MIRANDA (1948), costarring Glynis Johns, Griffith Jones, and David Tomlinson. Withers' husband, John McCallum, played Nigel, an artist, in the film. MIRANDA just came out on DVD this month. Withers also appeared in MGM's British-made Lord Peter Wimsey mystery HAUNTED HONEYMOON (1940), also known as BUSMAN'S HOLIDAY, starring Robert Montgomery and Constance Cummings, and she was in 20th Century-Fox's London-set NIGHT AND THE CITY (1950), starring Richard Widmark and Gene Tierney. Withers was acting into the '90s, including COUNTRY LIFE (1994) and SHINE (1996). She was married to McCallum for 62 years; he died last year at the age of 91. McCallum's memoir LIFE WITH GOOGIE was published in 1979. London's Daily Telegraph has published an excellent obituary of a woman who led a most interesting life. 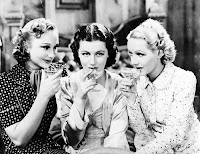 Coincidentally, this weekend Mercurie pays tribute to Margaret Lockwood and THE LADY VANISHES at A Shroud of Thoughts. This would be a great time for anyone who hasn't seen THE LADY VANISHES to give it a try in Withers' honor. It's available on Netflix streaming. Thanks for catching this one, Laura; I might otherwise have gone a long time before learning that Dame Googie had passed on. So long, Dame Googie, and thanks for the memories. I also appreciate the news that Miranda is finally out on DVD. That one was a childhood favorite, and heretofore all I had was a bootleg DVD which -- can you imagine? -- had a flaw that caused it to skip over the marvelous scene where Margaret Rutherford discovers Miranda in the bathtub. Most frustrating! You're very welcome, Jim, and I'm especially glad you can now have a full-length copy of MIRANDA. Isn't Rutherford's reaction to Miranda priceless? Although I think my favorite moment in the entire movie is when Withers does a double-take at the goldfish bowl. Thanks for your post. Seems I've been doing an accidental Googie Withers tribute of sorts. Just watched Miranda (and its color sequel Mad About Men) on Netflix Instant Watch and watched a video of Hotel du Lac from the library (to honor and see the work of Anna Massey who also recently passed away). Ms. Winters played a fellow hotel guest, Mrs. Pusey. I was sad to hear this news too. A great actress - Pink String and Sealing Wax and It Always Rains on Sunday featured some great work by Googie.